Remember Jane with your morning cup of Joe. 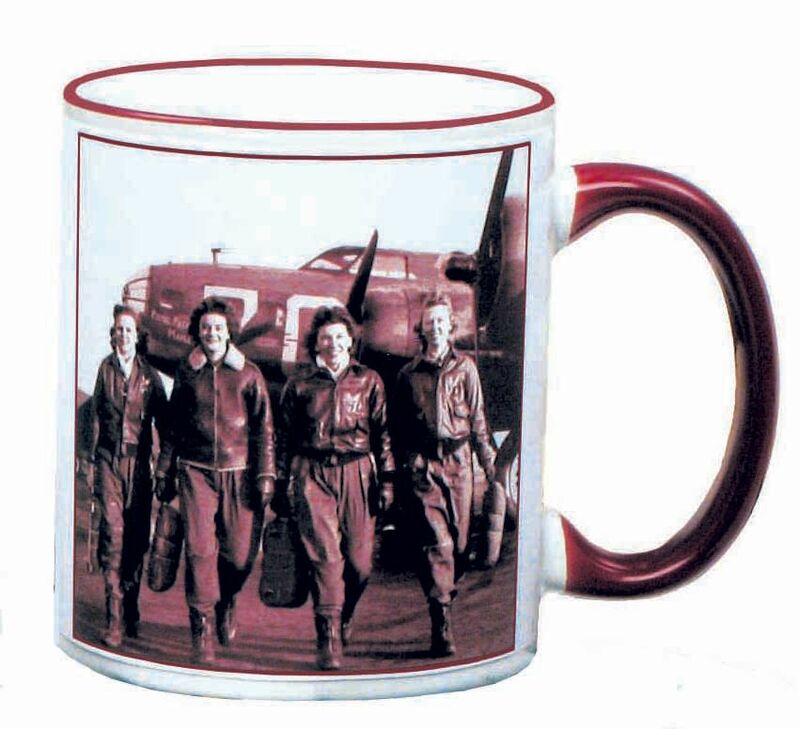 Aviation Gifts – This ceramic aviation mug is a tribute to the WASP pilots, Women Airforce Service Pilots, which flew warbird planes during WWII. The mug image is taken from an actual photo of 4 WASP pilots, from left, Frances Green, Margaret (Peg) Kirchner, Ann Waldner, and Blanche Osborn departing the B-17 aircraft, Pistol Packin' Mamma. These female pilots played an important role during WW II ferrying all types of aircraft right out of the factory to free up male pilots for combat missions. There were over 25,000 applicants with 1,830 being accepted for training. Of these, 1,074 passed flight training and joined the air force. Nancy’s Notes: I have always admired the WASP Pilots and considered them extremely brave. To say that many of their flights were challenging is an understatement. They were often the first to fly aircraft right out of the factory and many times there were mechanical problems. Due to shortages during the war there were times when parts that were supplied had been made to fit but were not to specs or a lower octane fuel was used because higher octane was not available. Sometimes these women took to the air with no training on the aircraft and first flight meant reading the manual prior to take-off. In all, 38 women gave their lives for their country, and in 2009, the WASP Pilots received the Congressional Gold Medal for their stellar service. The 11 ounce WASP Aviation Mug is ideal for your favorite cup of joe or other beverages. The cup handle and cup rim are a burgundy color which complement the black and white image that is shown on both sides of the mug. This mug is lead free, dishwasher safe and microwavable safe.